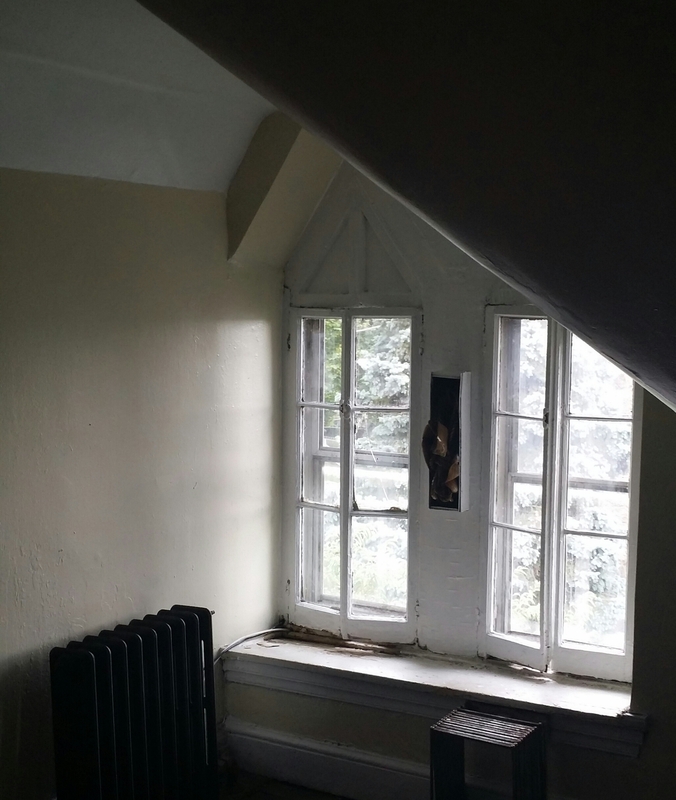 So in the attic suite of our fixer upper #1, we’re lucky enough to have 8 windows that let in a ton of natural light. I love the natural light, but finding window treatments for these windows has been a serious hassle. I wanted to show off the character of the window (the odd shape of the window frame is to die for! ), continue to let in natural light, while at the same time making sure that I had some privacy. That’s been a tall order as it turns out, but one thing was for sure. I could almost hear that these windows were screaming for linen curtains. 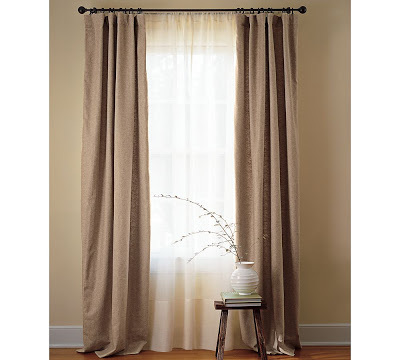 I absolutely love the look of linen curtains. The natural texture, the neutral color, and the design versatility win me over every time. The price, however, is a different story. I did a quick internet search for some fabulous linen curtains for the window above, and I was completely caught off guard by the price. 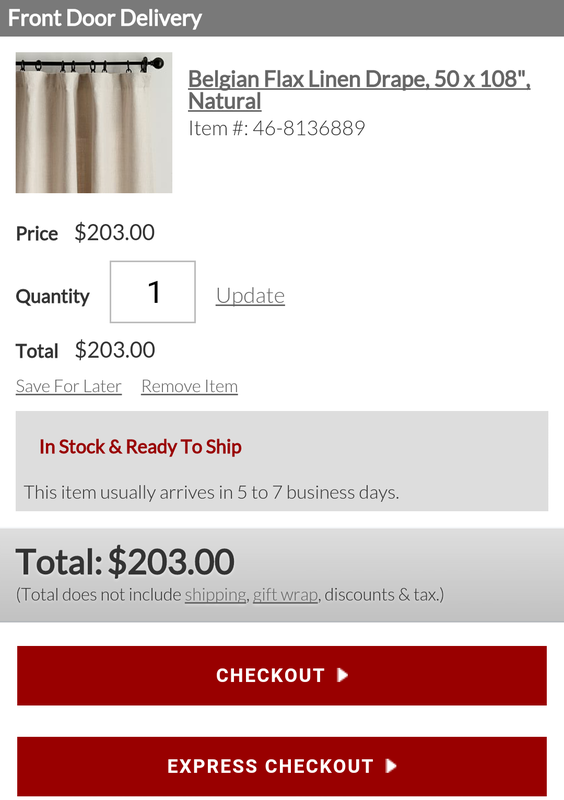 $203 for one curtain panel?! A curtain panel that I would have to hem and stitch to suit the size of my window. No way. I determined that for that price, the neighbors were just gonna have to watch. 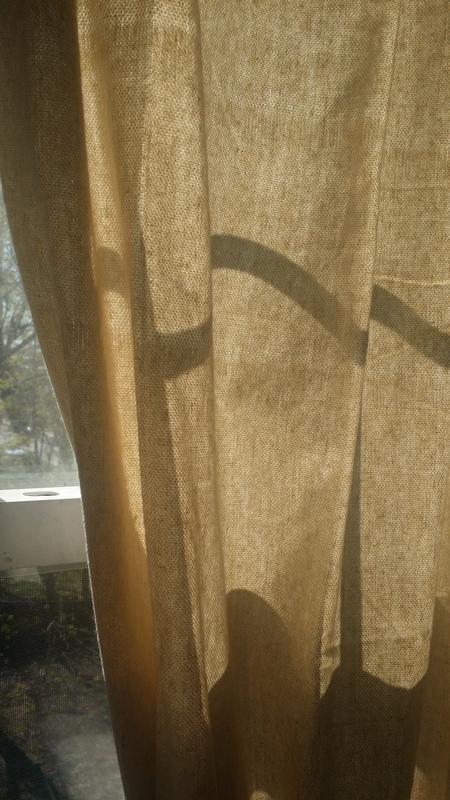 So yeah, I really needed some affordable curtains that let the light in, but at the same time took privacy to the next level. I had no choice but to think outside the box. It didn’t take long for me to find some awesome ideas on Pinterest. You guys are so amazingly creative! 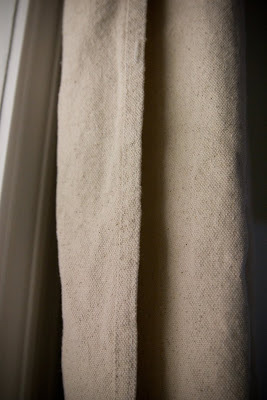 So many of you have been getting the look of linen for less by using standard painting drop cloths as curtains! 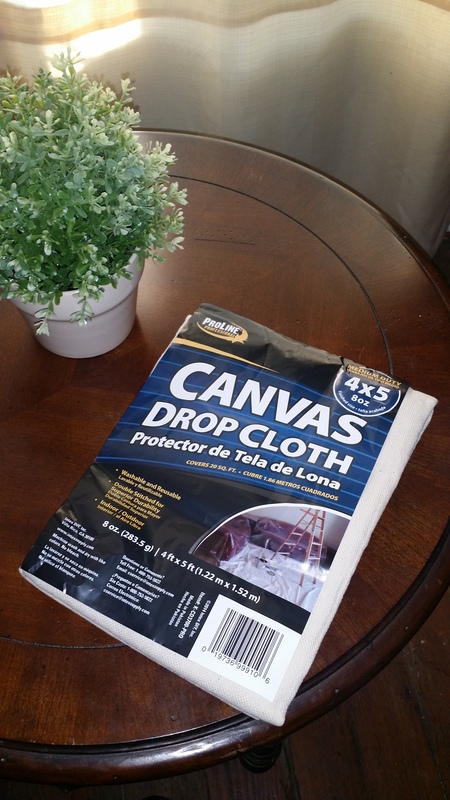 Repurposing is totally my jam, and I immediately raced to Lowe’s and bought some drop cloths. The package above was only $5.98 and measured 4ft by 5ft. The cloth is already hemmed and ready to hang. Ugh! So perfect! 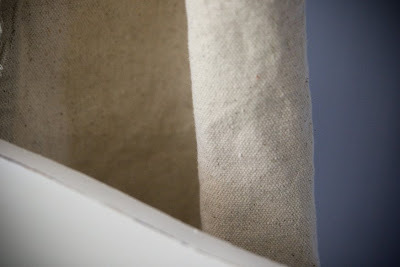 Check out this close up of my new drop cloth curtains and compare it to the $200+ curtains below. I am so happy with these curtains that I just had to share it with you guys! The natural light still floods in, and you really can’t see through them to watch your neighbors sleep (sorry, creepy neighbor chick). Have you made any unconventional window treatments? Please don’t hesitate to share! Next Post Favorite Farmware Pieces and Where to Shop For Them! This is a seriously fantastic idea. Thanks for sharing! Thanks, Meghan! I really love these curtains. The best part is that they’re machine washable and you can actually stencil them with permanent markers or paint! They’re so pretty that I decided to just leave them plain. Either way, they’re awesome! I’m a total curtain failure, so something this easy will be hard to pass up. Again, fantastic idea! Nice job!! They look like the curtains I bought out of pottery barn several years ago – Belgian Linen in fact. I bought drop cloth a few months ago to recover some chair seats in a faux grainsack and you have inspired me to finally get going on that! Great! 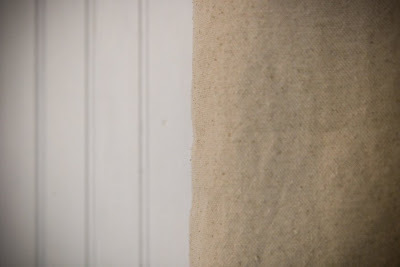 I really am in love with drop cloth. Faux grainsack, eh? That’s such a good idea! YOU have inspired me!